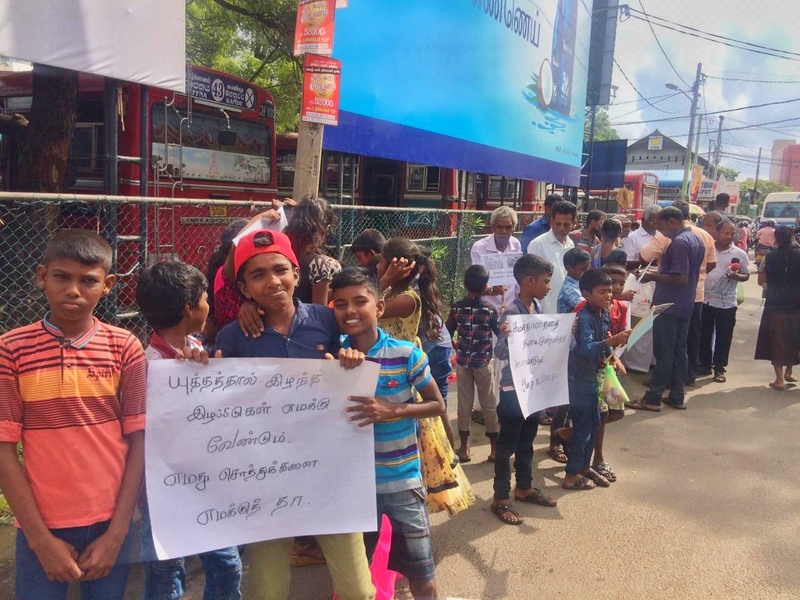 Locals in Jaffna said members of Rajapaksa's SLPP party promised educational equipment for children if parents took part in a supportive rally, however, no equipment was later given. At the rally, held today, locals said military personnel and police officers dressed in civilian clothes were on the streets nearby. "They told us to call for the military to be deployed on the streets to ensure security of the Tamil people," one father, who took part in the protest but did not want his identity revealed, told the Tamil Guardian. The rally follows a previous one held by the SLPP in Jaffna.